When you play your entire 14-year NFL career with a team whose fan base is as rabid as the New York Giants, you better walk away from your career a champion. 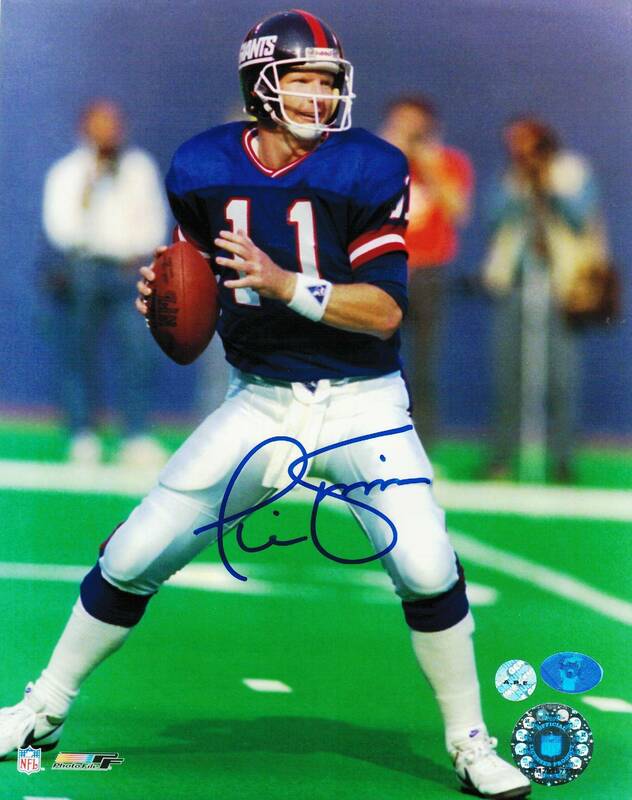 Phil Simms did just that, twice. He led the Giants to Super Bowl victories in 1987 and 1991. 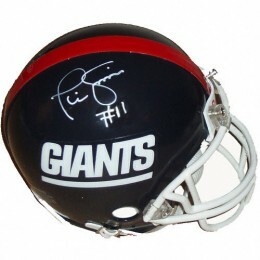 As a result, his football cards and autographed memorabilia hold a special place with Giants fans and collectors. 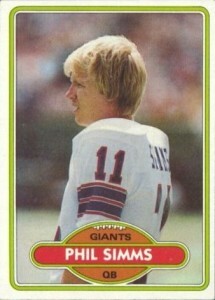 Phil Simms rookie card is from the 1980 Topps Football set. In addition, he has a couple of regional and team issued cards from his early days with the team. His first certified autograph card was included in 1991 Pro Line Portraits. The set has been a collector favorite for years due to its deep autograph checklist and on-card signatures. Simms' first game-used memorabilia cards were released in 1999 Leaf Certified. They are part of the Gridiron Gear insert set and are serial numbered to 300. 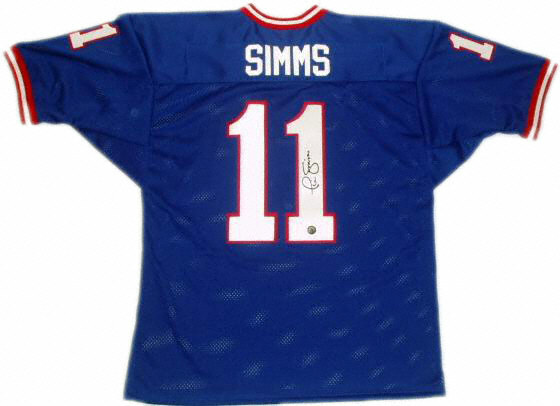 Phil Simms' autographed memorabilia is still popular with collectors long after his retirement from the game. He has maintained a public persona as a CBS Sports commentator and occasionally participates in larger signing events. The 1980 Topps Football set is known for its lack of rookie stars. Simms is the only standout in the entire set and poor centering is common across the product. As a result, professionally graded cards earning high-grades do sell for a premium, particularly Simms' RC. 1984 TOPPS FOOTBALL UNOPENED WAX PACK BOX (BBCE-SEALED)-36-PACKS,MARINO RC-YEAR! 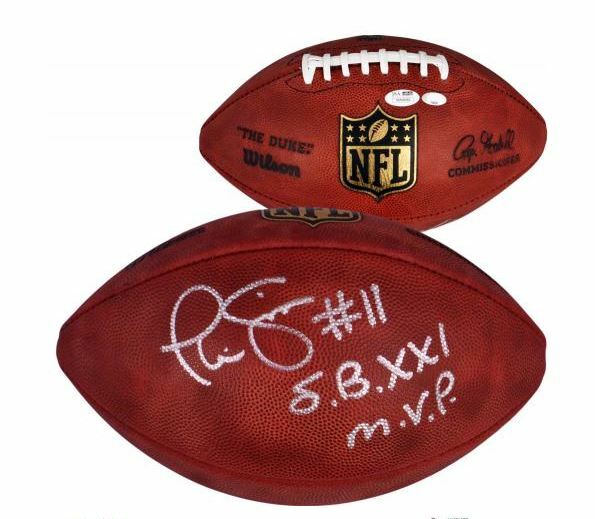 Below you will find an example of what Phil Simms's authentic signature looks like. This can be used as a first point of reference for determining the legitimacy of autograph memorabilia, but is not a substitute for having your items authenticated by a well-respected professional autograph authentication company. Some of the trusted sources within the sports memorabilia market include the following companies: PSA, JSA, Tristar, and Mounted Memories. Click on any of the images below to view full size photos. The entire signature is dominated by the initials "P" and "S," which are clearly legible. The "P" uses a single flowing line in a curve to create the letter. The top of the "S" intersects the "P." The bottom portion of the "S" comes to a point in the center to create a large loop. The other letters of both the first and last names are scribbled. A dot is visible to imply the "i" in both names. He often inscribes his jersey number "#11"
Phil Simms Hot! signed New York Giants SB MVP 11x14 photo PSA DNA cert PROOF! !